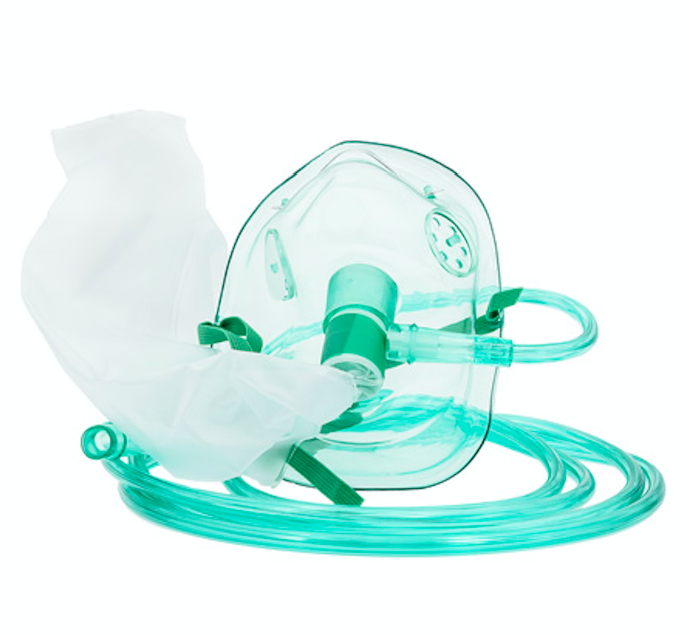 Avoiding both hypoxia and hyperoxia is important. Hyperoxia may lead to cerebral vascoconstriction and production of free radicals. Blood pressures are likely to drop as the effect of vasoactive substances (most commonly epinephrine) given during cardiac arrest wears off. 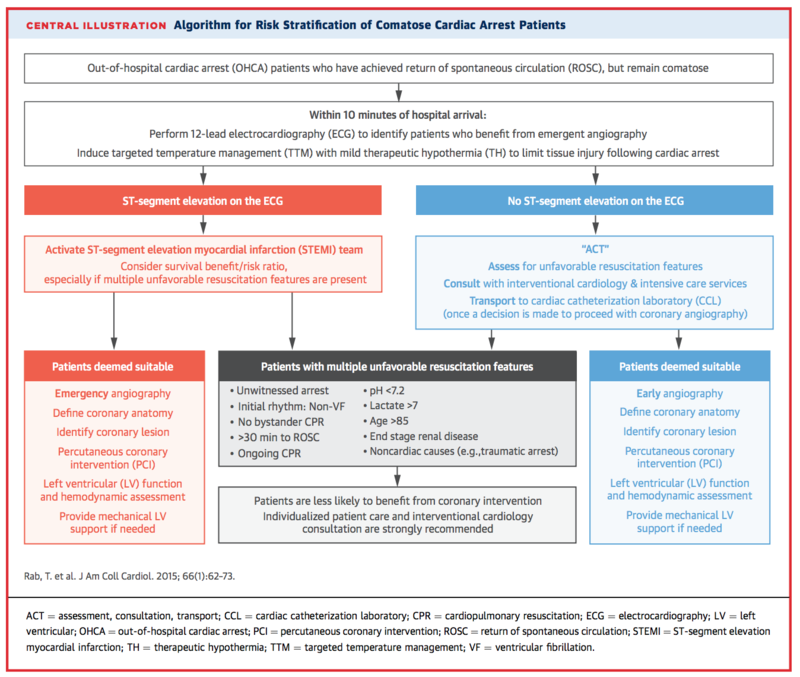 There is an ongoing RCT in Belgium (Ameloot 2017) to determine if a target MAP of 85-100 mm Hg in comatose survivors of cardiac arrest has improved outcomes compared to those with a target MAP > 65 mm Hg. Bottom line: Avoiding hypotension is important in post-cardiac arrest patients. Although limited, available evidence suggests that a higher goal MAP may improve survival. Coronary artery disease is the most common cause of cardiac arrest. However, it remains difficult to predict which patients will benefit from cardiac catheterization after ROSC. Bottom Line: Almost all STEMIs should go to the cath lab immediately. Strongly consider cath in non-STEMI post-ROSC patients if patients had an initial shockable rhythm, there is a high suspicion of coronary etiology or no other etiology of arrest is found. Patients who undergo coronary angiogram seem to do better than those who do not but this may be a result of more attentive/aggressive care. 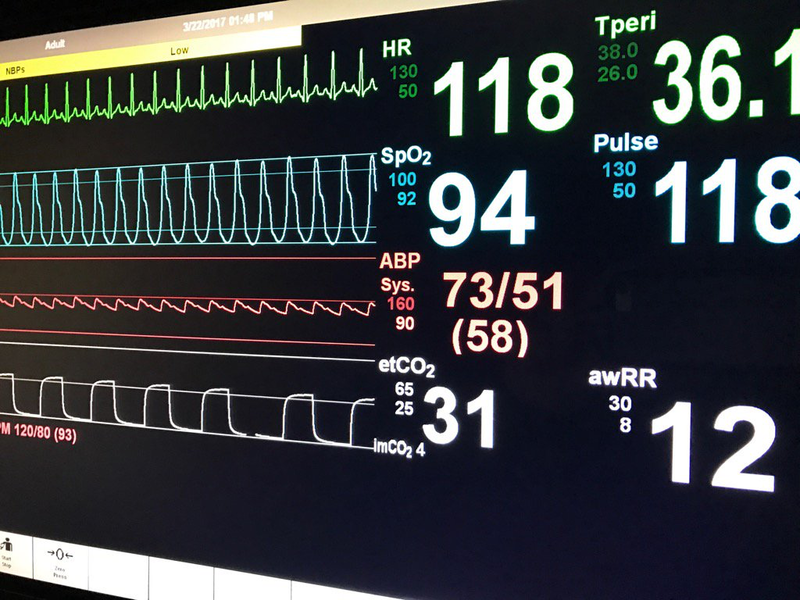 Bottom Line: NCHCT may change management in post-cardiac arrest patients but it is unclear which patients should have a NCHCT performed. Activate the cath lab for STEMIs, patients with an initial shockable rhythm or if you suspect a cardiac etiology of arrest. REBEL EM: Cardiac Arrest, Return of Spontaneous Circulation (ROSC) With No ST-Segment Elevation on ECG. Now What?